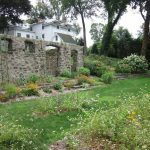 The former estate of the Seaman-Brush House (the official name of the Stanton House Inn) was an expansive homestead in the 1700s. 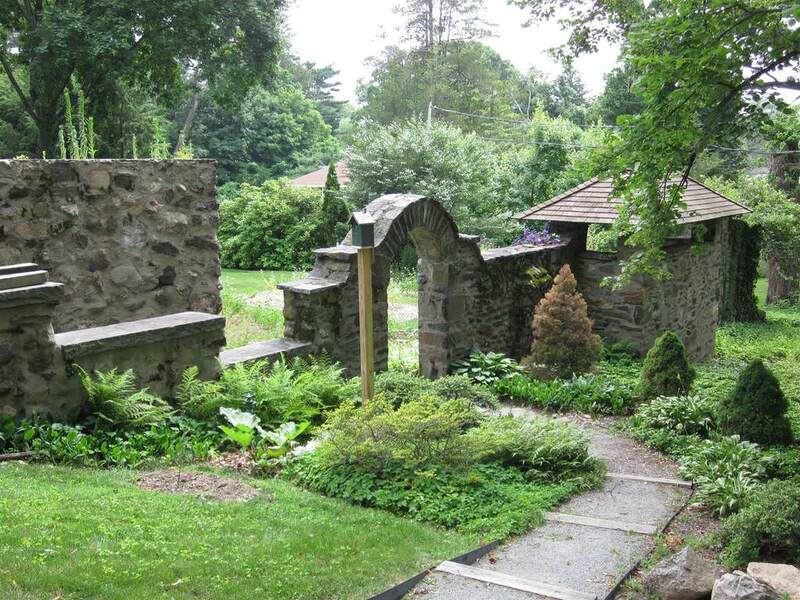 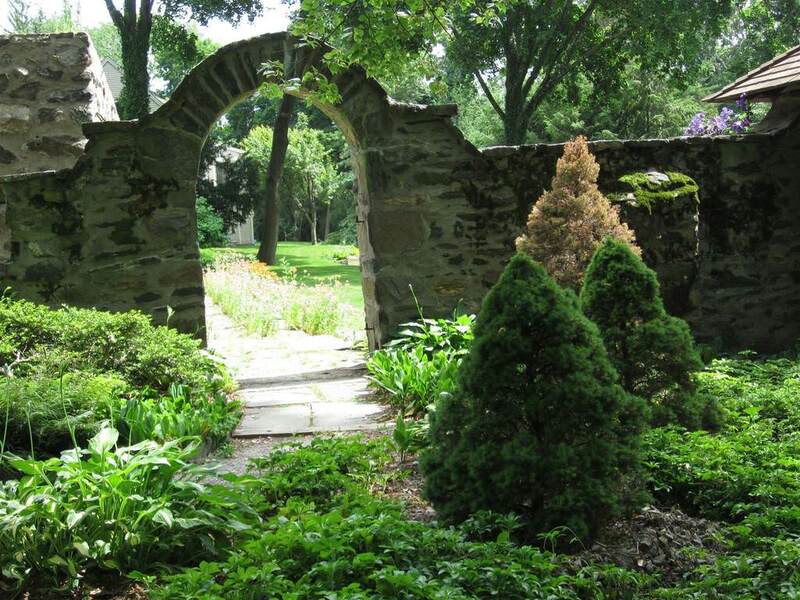 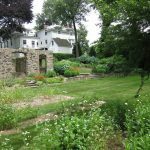 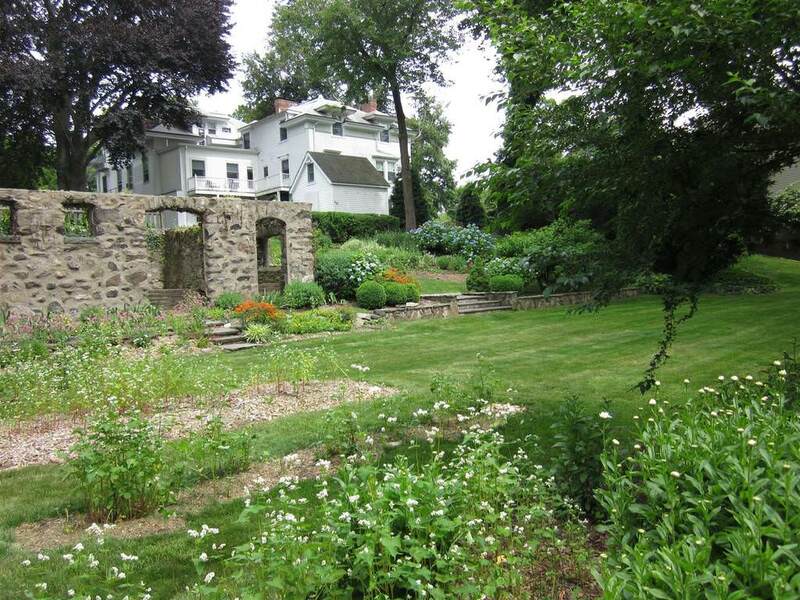 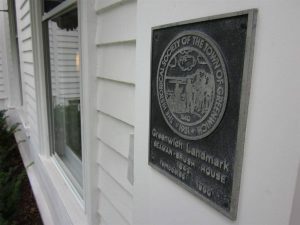 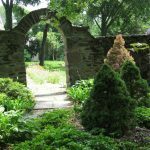 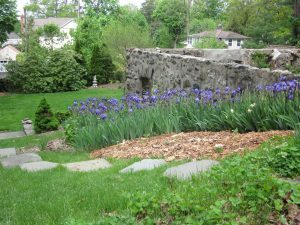 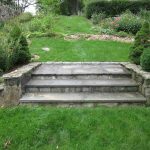 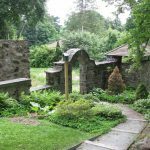 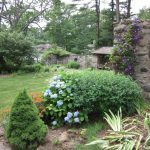 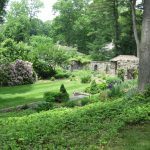 Since then, it has slowly shrunk to its current two-acre stretch of gardens in downtown Greenwich, Connecticut. 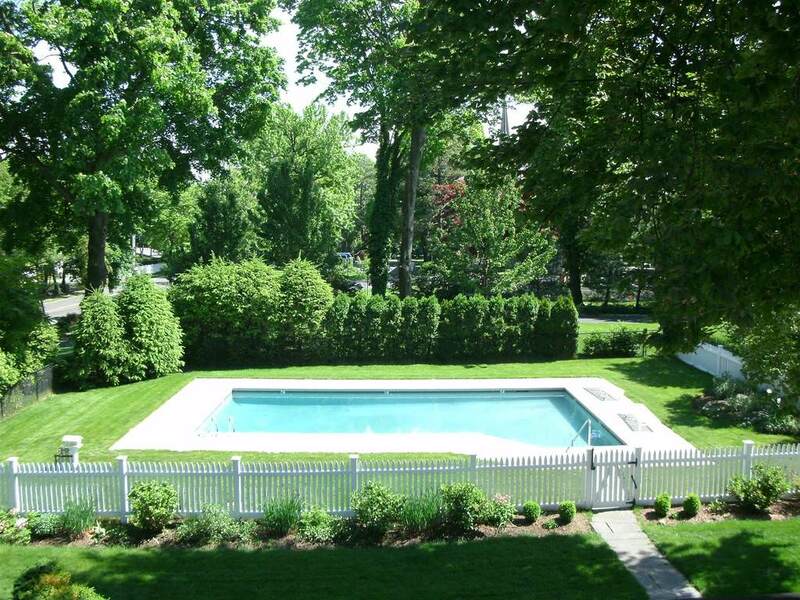 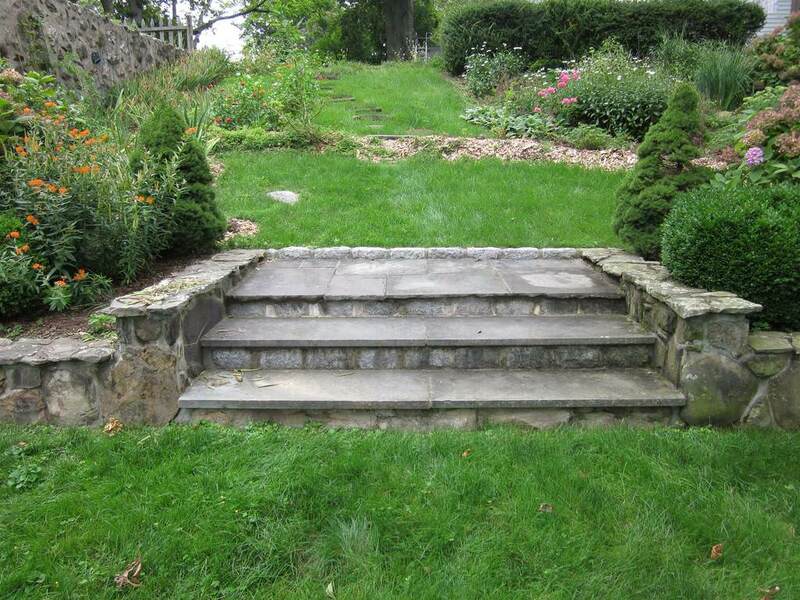 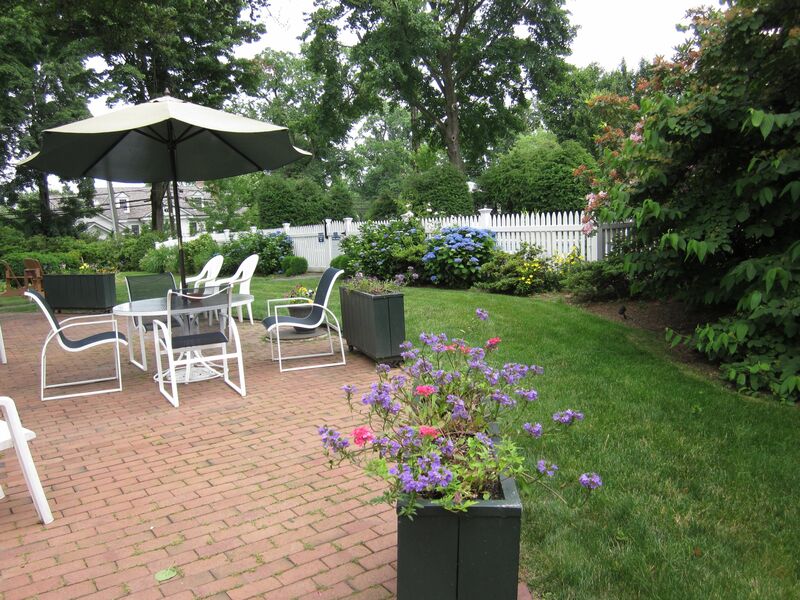 Today, those 2-acres feature manicured lawns surrounded by lovingly-tended garden beds. 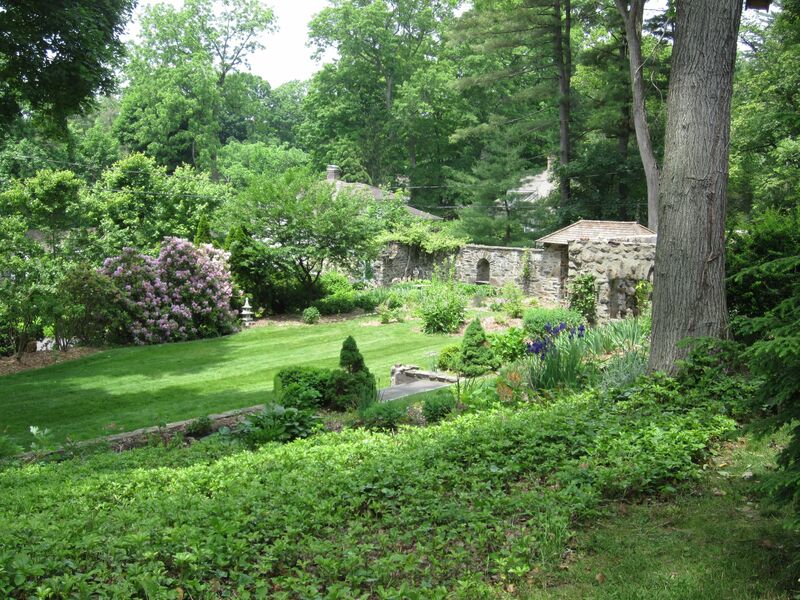 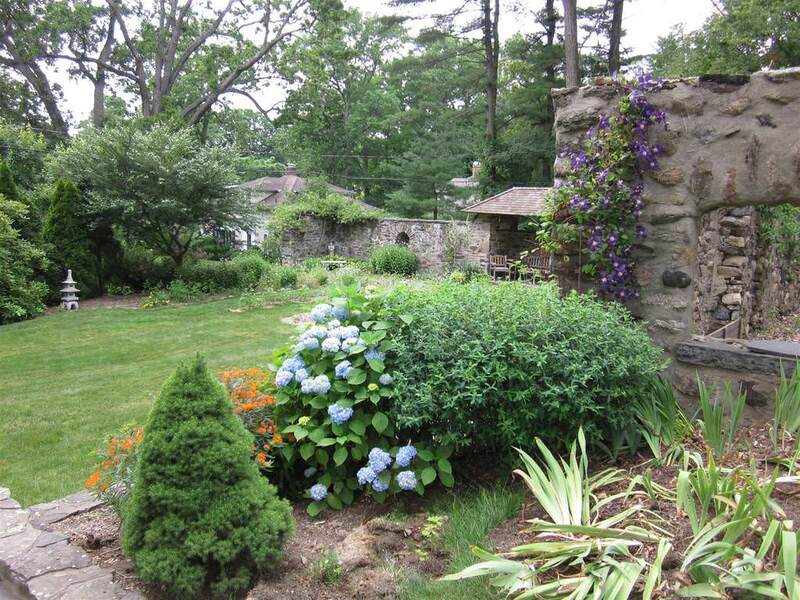 Visitors are welcome to wander the grounds and admire the tall trees endemic in New England. 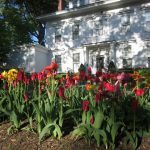 The more formal beds in the front of the Stanton House Inn give way to more natural plantings behind our romantic bed and breakfast. 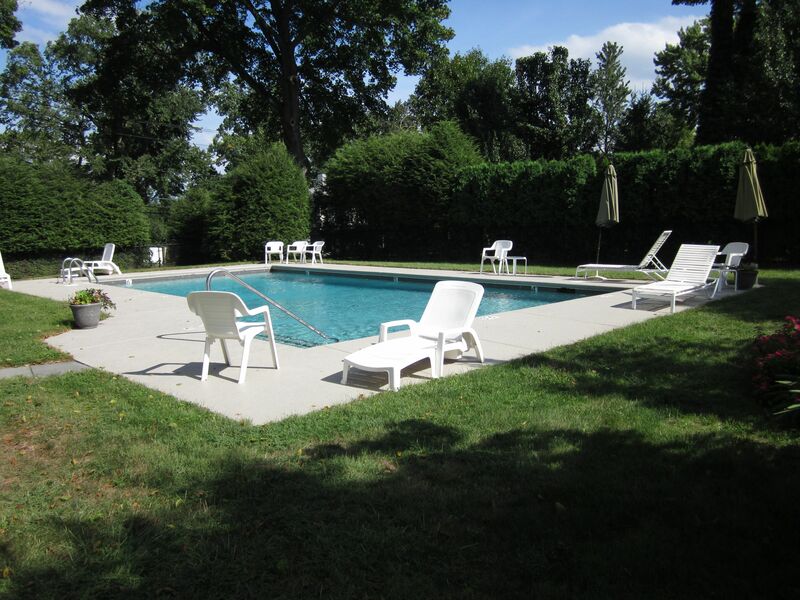 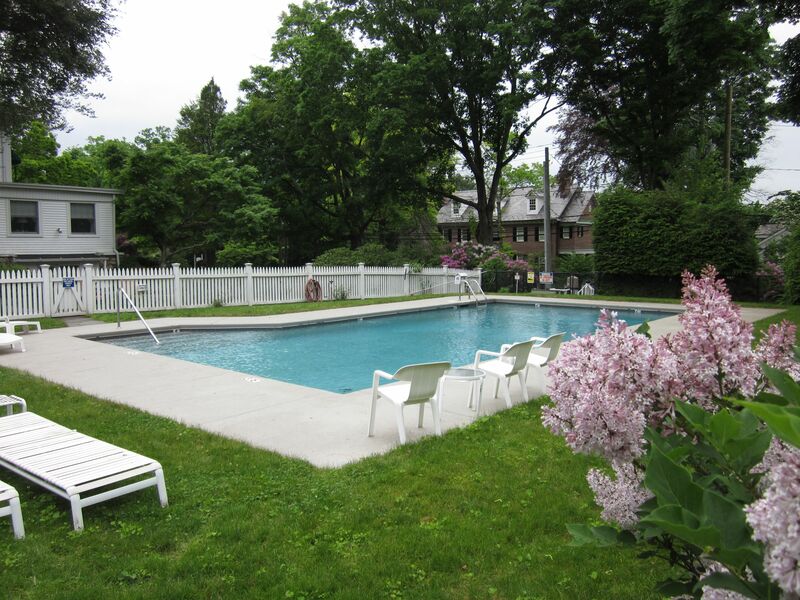 To the South of our bed and breakfast inn sits the brick patio and unheated swimming pool. 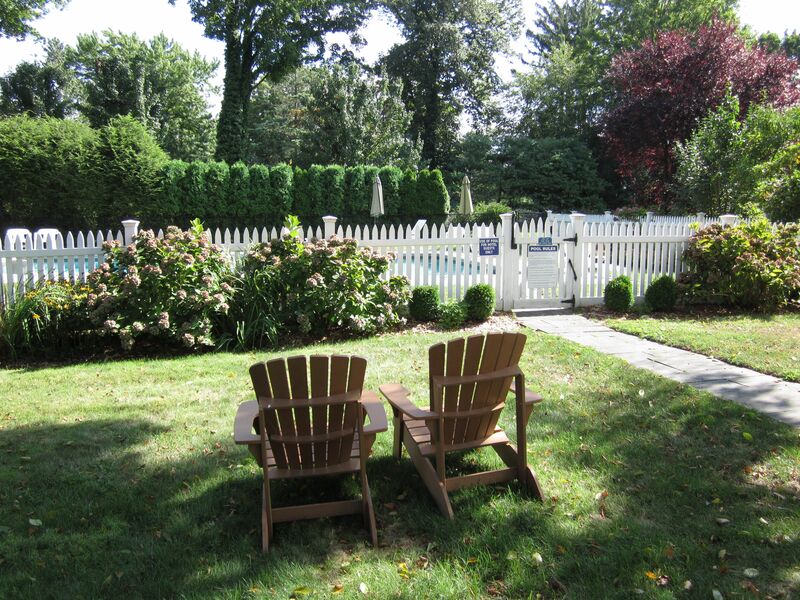 We encourage guests to relax at the patio tables and chairs during warmer parts of the year. 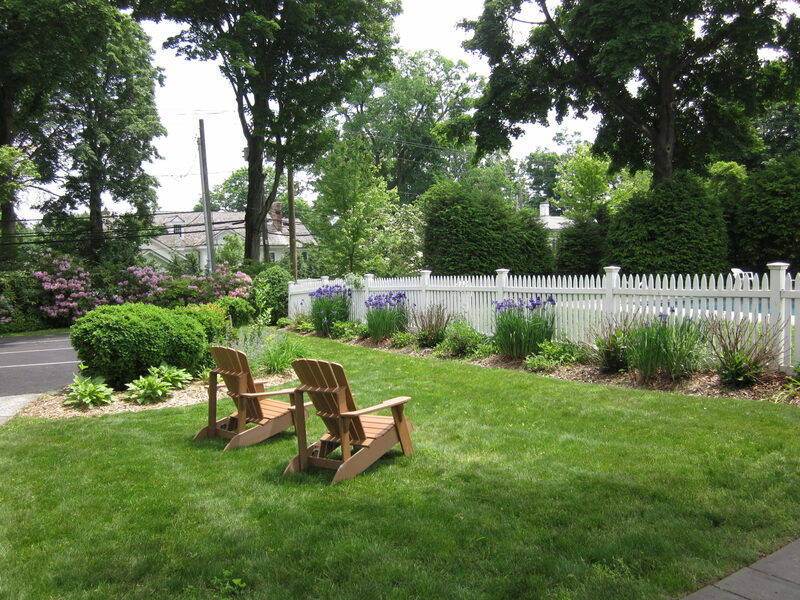 Our tables are perfect for enjoying breakfast, or reading a book and admire the gardens. 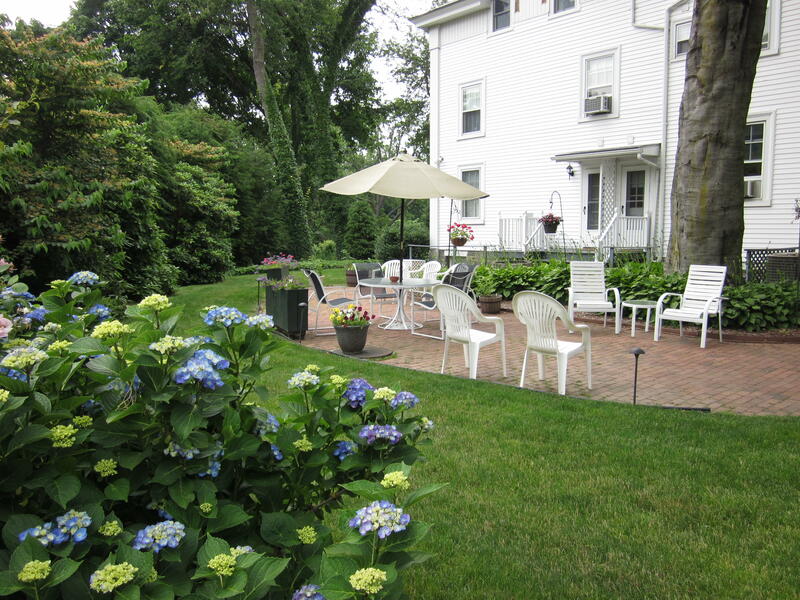 Our patio comfortably accommodates up to 50 people for functions. 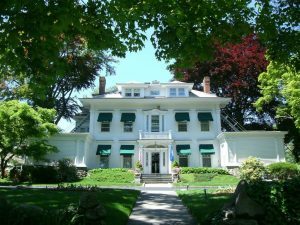 Elegant and impressive beech trees used to flank the south of the mansion, planted when the mansion was first constructed. 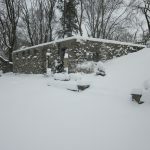 The trees recently had to be taken down for safety reasons. 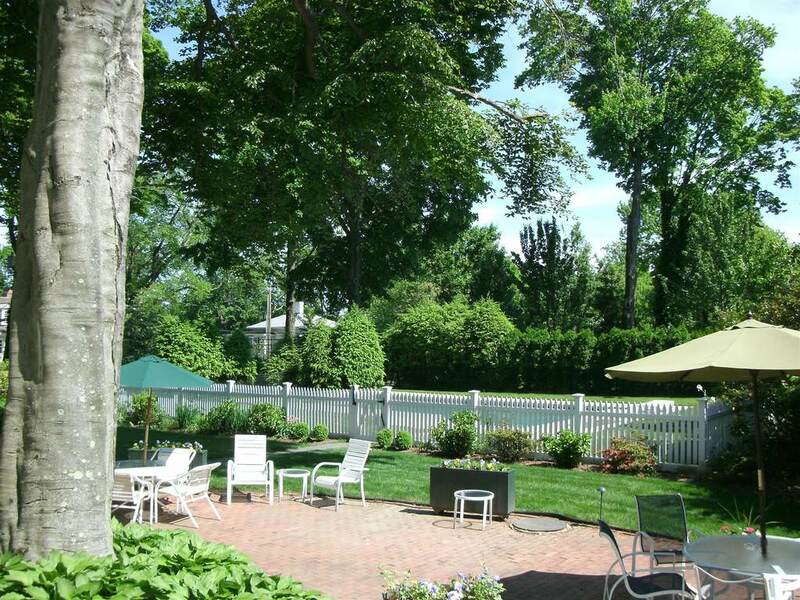 We’ve planted a few elm trees around the patio and hope to enjoy some of their luxurious shade in the coming years! 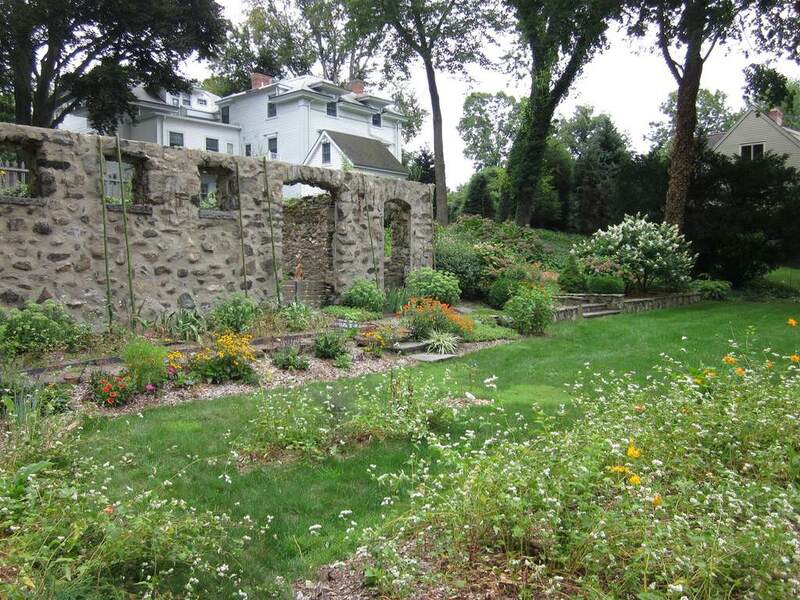 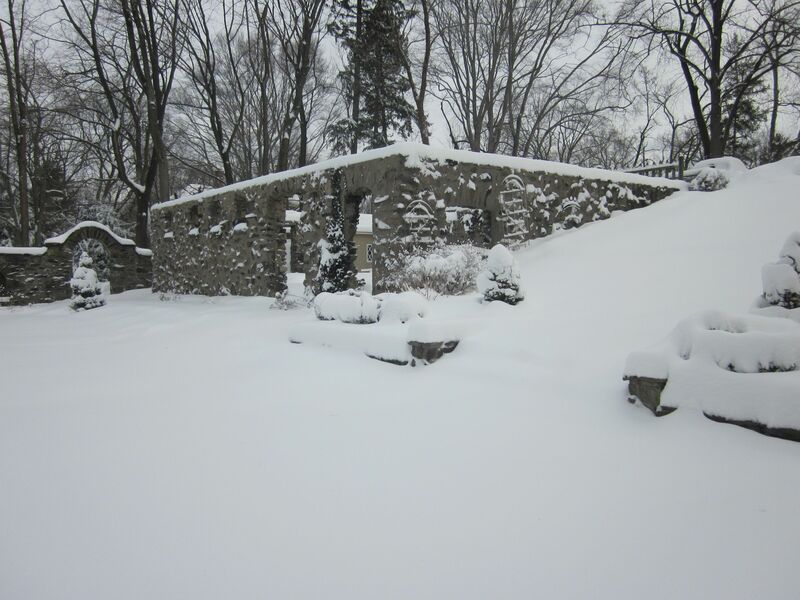 The Stanton House Inn estate slopes downhill from Maple Avenue to the ruins of a former party pavilion. 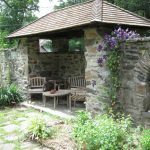 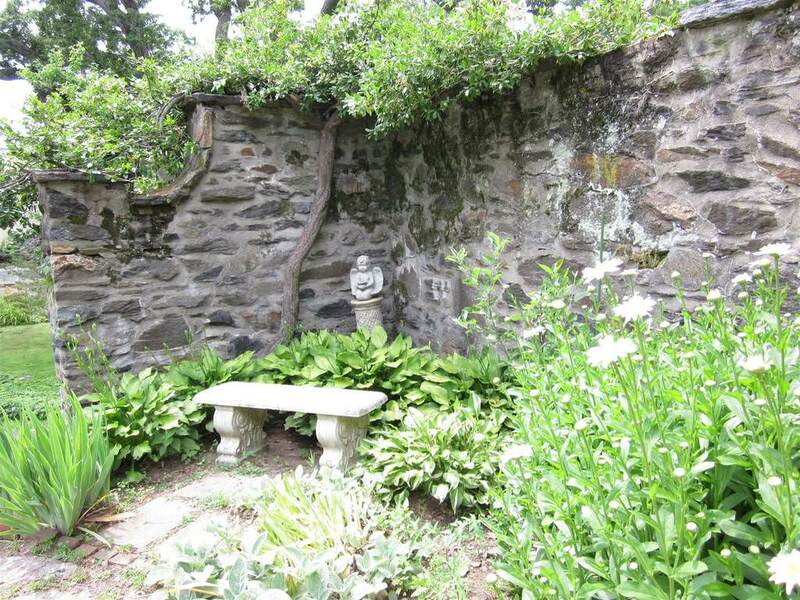 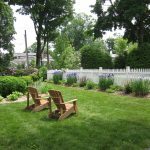 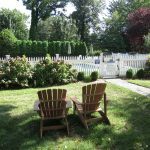 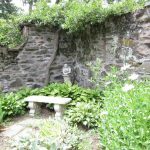 The back lawns and gardens of our bed and breakfast inn are a wonderful place to picnic or read a book in the grass under the shade of the maple trees. 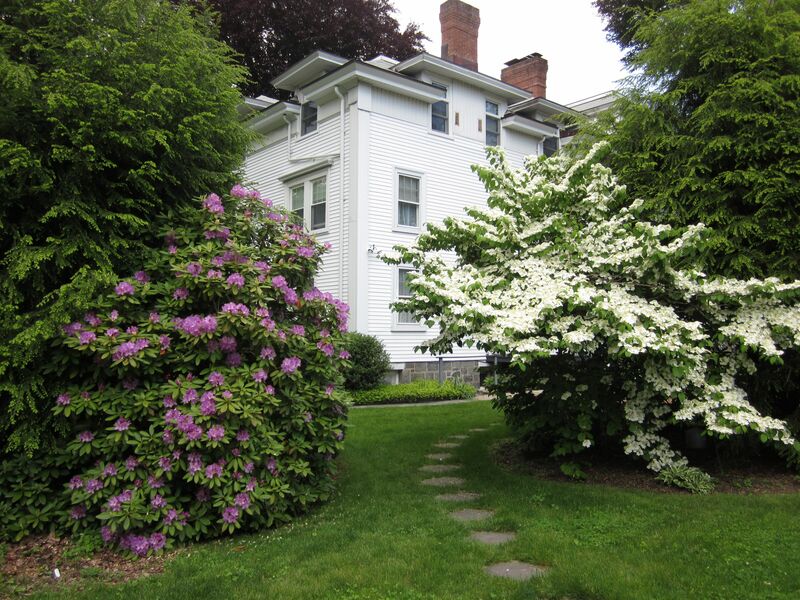 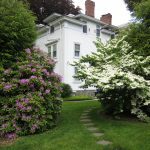 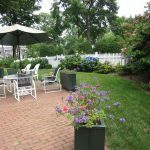 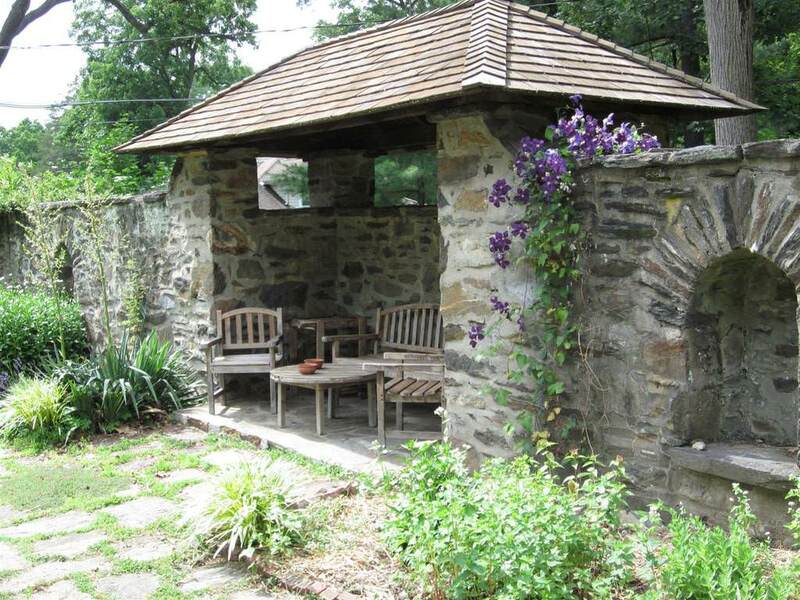 Besides our beautiful gardens, we also provide off-street parking for guests to our Greenwich bed and breakfast. 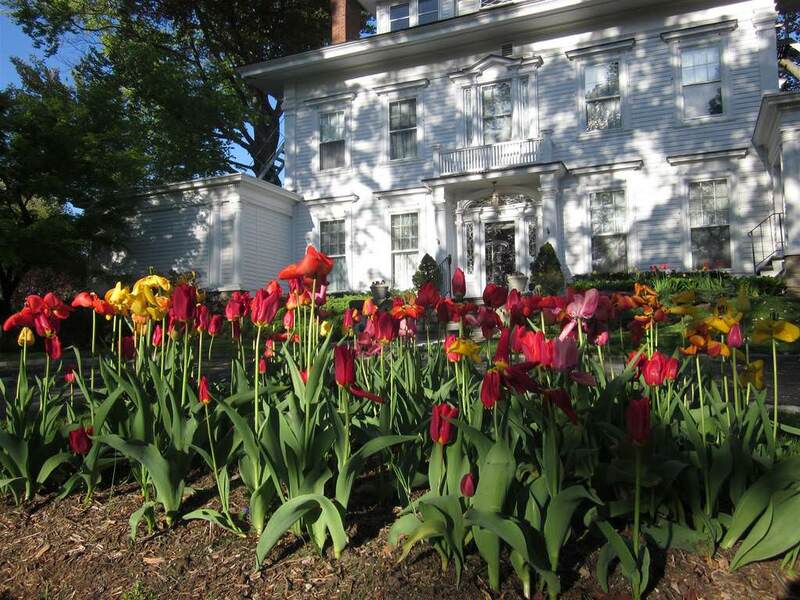 As we have limited downtown Greenwich parking space, we are only able to offer space for one car per guest room.